Type N Mineral Insulated (MI) Inconel sheathed thermocouples in a 2mm diameter with 75mm PFA leads and terminating in a mini plug. 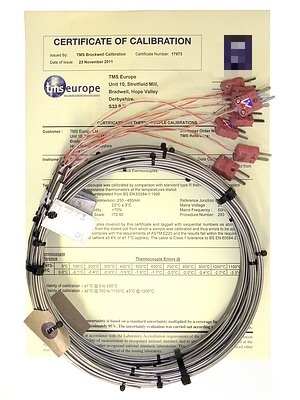 These thermocouples are available in 3, 4 and 4.5 metre sheath lengths and are suitable for temperatures up to 1220°C. These thermocouples are produced from batch calibrated cable and conform to AMS 2750E.